The following piece by Howard Smith hits a more mystical note than many of our recent posts. Like big bang theorists, it points out, the kabbalists, “…weave an intricate account of the universe created from [an] infinitesimal speck, describing how it expanded and evolved with light and substance into our world.” The article was originally featured in THE FORWARD, a weekly Jewish newspaper, on October 13, 2006. Dr. Smith is an active member of the Boston Jewish community. He is a senior astrophysicist at the Harvard-Smithsonian Center for Astrophysics and was the chairman of the astronomy department at the Smithsonian’s National Air and Space Museum in Washington, D.C. His recent book is LET THERE BE LIGHT: MODERN COSMOLOGY AND KABBALAH, A NEW CONVERSATION BETWEEN SCIENCE AND RELIGION (New World Library) — http://www.lettherebelightbook.com/. Several of his other recent articles on the topic of science and religion can be found in the Excerpts section of the site. "B'Resheit" - Hebrew for "in the beginning." Since the start of the Hebrew month of Elul in late August, Jews have been examining the year past in search of lessons to apply to the year ahead. Now, as the holiday season winds to a close, the weekly cycle of Torah readings offers another opportunity to examine the past as we return to the study of the very beginning: Genesis and the story of creation. This year, modern science has something new to add. The medieval commentator Rashi famously asks why the Torah, nominally a book of laws, begins with a seemingly incidental cosmology narrative. He answers, citing a midrash, that the account is included to demonstrate to all the nations that God created the Earth, and that the land of Israel can therefore be given to whomever God chooses. Land belongs not to people, but to the Lord. the Harvard-Smithsonian Center for Astrophysics, N. Caldwell and B. McLeod. The kabbalists weave an intricate account of the universe created from this infinitesimal speck, describing how it expanded and evolved with light and substance into our world. Like Rashi, the kabbalists derive a lesson from their cosmology: Humanity has a role in this drama. They explain that the work of creation has not been completed. Tikkun olam is humanity’s task — to heal the breaches and injustices of our society, imperfections that were embedded in the very fabric of the newly formed cosmos. The import of these lessons remains as appropriate today as ever, as we educe new interpretations from these old teachings. There are also new teachings in the cosmological story, and some other lessons to derive as well. This has been another remarkable year for astronomers investigating how the universe was actually created — yes, today we know how the creation really did proceed. Readers may perhaps recall the essence of those ideas; they are expressed in the big bang model. About 13 billion years ago, the universe as we know it exploded from an infinitesimally small point, much smaller than even an atomic nucleus, in a creative event dubbed “the big bang.” The universe has been expanding from this point and evolving ever since, with its current dimension being approximately 46 billion light-years. The foundations for the big bang description were laid by decades of mathematical thinking and meticulous studies that culminated with Edwin Hubble’s unexpected 1929 observation: Other galaxies are moving away from us with velocities that indicate a systematic recession, but yet, in accord with Albert Einstein’s then recent theory of relativity, the Earth has no privileged position. Hubble’s results shocked people who only a few years earlier thought that our galaxy was the entire universe and that — as Einstein, too, had originally thought — the universe was static and eternal. Hubble’s data made use of 46 nearby galaxies. This past year, several different teams of astronomers reported progress on their programs to measure the recession velocities of hundreds of thousands of galaxies. Their results — with evidence from galaxies hundreds of times farther away than Hubble’s sample — support Hubble’s conclusion that the universe is systematically expanding. There was other news as well. The newborn universe was tiny and fantastically hot, and its light was scattered by the plasma of electrons like headlights in a fog. Three hundred and eighty thousand years after the big bang, once the universe had cooled down enough for neutral atoms to assemble, light was finally able to travel through space unimpeded. That light is seen today as the so-called “cosmic microwave background radiation,” and it permeates all of space. It is faint — but it is everywhere. The cosmic microwave background radiation was discovered in the 1960s, and like the recession of galaxies, it has become one of the essential diagnostic features used to investigate the details of exactly what happened in the beginning. In 1989, NASA launched a small satellite, the Cosmic Background Explorer, to measure this radiation more precisely. Just last month, the Nobel Prize in physics was awarded to two astronomers who, with their teams, designed the explorer. NASA now has a newer cosmology satellite in orbit, the Wilkinson Microwave Anisotropy Probe. Last month this satellite team announced the results of the first three years of nonstop surveying of the cosmic microwave background radiation. The universe, the probe satellite team reports, is 13.73 billion years old, with a formal statistical uncertainty in that number of only about 1%, or about 150 million years — less time than it took for the dinosaurs to come and go. (The team also measured another half-dozen fundamental properties of the universe with similar precision.) Wilkinson Microwave Anisotropy Probe and the various galaxy studies have bolstered our confidence in our understanding of the early universe, and solidified ideas that would have seemed completely ludicrous a century ago — ludicrous to scientists, that is, though not to kabbalists. The same remarkable astronomical research, however, has simultaneously uncovered stunning new mysteries. The universe is not simply expanding, it appears to be accelerating outward into endless oblivion. 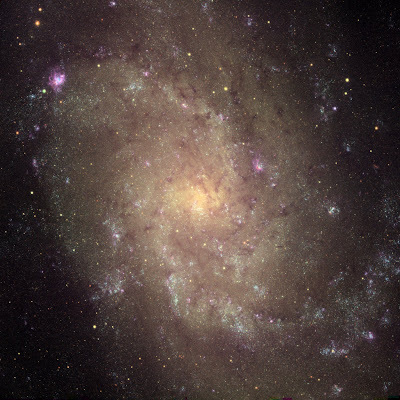 Astronomers can account for only a paltry 10% of cosmic matter as being in known forms like planets, stars, galaxies or gaseous nebulae. The other 90% of substance is “dark matter,” almost certainly some kind of unknown material. Einstein’s hoped-for theory to unite gravity and the other three forces of nature remains unrealized. The rigor with which the cosmic age has been determined only lends credence to the profundity of these three mysteries and other ones still remaining. Like the cosmology of Rashi and the Safed kabbalists, modern cosmology also lends itself to a message and a lesson. The message is that our basic concepts about the universe are well-founded: The universe is not eternal and static; it was born, has evolved and is expanding. Yes, there are deep puzzles remaining, but we have increasing confidence in the scientific methods needed to resolve them. The lesson comes when applying these realizations to the current political debates that have regrettably presented science and religion as antagonists — evolution, intelligent design, stem-cell research and human behaviors, to name a few. In the case of astronomy, and more generally as well, both science and religion are speaking to the same mysteries. In the arena of cosmology they offer perspectives that, though different, are consonant, not contradictory — as I hope the example of the Kabbalah illustrates. One problem in the way evolution is taught is that it is taught as fact, yet the scientific method does not allow science to prove evolution. That is because the scientific method does not allow consideration of supernatural causes as explanations for evidence. This means science cannot consider creation. You can't logicially prove something without looking at both sides. To prove evolution happened requires more than proving it is possible. You have to prove that creation is impossible. But science cannot do that and has never done that because it cannot examine supernatural causes. It is really an article of faith among evolutionists that there is no God who has intervened in physical processes to produce the species. There is really no conflict between fossil and genetic evidence and a literal reading of Genesis chapter 1. The language allows a time period, which could have been hundreds of millions of years, between the act of creating the earth in verse 1 and the condition of darkness and desolation in verse 2, and during this time God could have created life and created all species through common descent and by modifying the genetic code from generation to generation. After the earth was destroyed by water and had become desolate, God renewed the surface of the earth, repaired the damage, and restored the species to their original condition on the earth. This is what is recorded as happening in six days about 6,000 years ago. I know that many creationists take these verses figuratively. I am only pointing out that there is no conflict between a literal reading of Genesis chapter 1 and the fossil and genetic evidence. Evolution is a fact. Although in the 19th century (when evolution was a new idea) many rabbis expressed skepticism because it seemed at that time to be unproven and to undermine Torah, for the past 80 years all of the greatest luminaries of Jewish learning have come to recognize, in the words of Rav Kook, that evolution is a wonderfully optimistic theory that shows that G-d's hand continues to act to improve this world. While it is true that we cannot prove for certain, for example, that the sun will rise tomorrow (as David Hume showed), no sensible person doubts that it will rise because the evidence (from precedent) is incontrovertible. There is no longer any doubt about evolution, and even proponents of so-called "intelligent design" are today forced to admit that their original, extreme counter-examples have been discredited. Perhaps interesting new counterexamples will arise, but so far none has, while meanwhile the pieces of the genetic puzzle fall perfectly together. I recommend the book by Rabbi Nathan Slifkin, "The Challenge of Creation." It should help to reassure you that evolution and the 13.7 billion year old universe are as certain as the sun rising, and that this does nothing to diminish Torah. To the contrary, Torah and belief is demeaned and denigrated when reality is denied and its eternal messages of truth are lumped together with impossible superstitions. Indeed, there is no "conflict" with Genesis. But as for literal reading, even the Rishonim disagree fundamentally on what the "literal" meaning is. 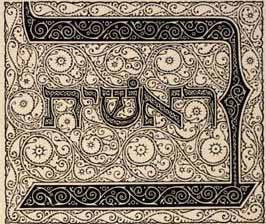 Why try to deny the Divine truth, whose words are equally written in nature and in black-on-white Hebrew script? You do so at the risk of deep misunderstanding. H Smith, you seem to be confused about evolution, Intelligent Design and God's role in the creation and development of the universe. In the article below, it is clear that there can be no "selfish gene", because, as, Stuart Kauffman states in the article below by Suzan Mazur, genes are all "utterly dead"! Another nail in the coffin of the preposterous fable that evolution is its own Prime Mover! If I understood you correctly, you are positing a process, "evolution", as its own Prime Mover, and equally anomalously pooh-hooing Intelligent Design. How can you do so, while believing in a divine Creation and divinely-driven evolution? The very term, "intelligent design" predicates both intelligence and purpose. To scoff at it is worse than superstition, it is utter, folly. That's not conjecture, indeed, it is incontrovertible, because it is an a priori fact. To give currency to the fables of "scietismificists" with such a lamentaby deficient grasp of their first language is regrettable, to say the least. characteristic of atheists with an agenda. And you are lending currency to their fables. Whatever the other merits or demerits of author@ptgbook.org's post, he is absolutely spot-on in decrying the grotesque claims of the myriad, atheist "scientismificists" concerning their formal (as well as actual) incompetence in the matter of philosophy. Einstein was right to deplore their deficiency in this area. The most innovative thinkers in the field of physics, such as Einstein and Newton, ascribe inductive reasoning, not the deductive reasoning of the so-called "scientific method", as the key to their discoveries. Indeed, Einstein famously indicated that the criterion he employed when selecting his hypotheses was aesthetic. The extraordinary merit of the scientific method (witin its own, inevitably severe limitations) lies in its very reductionism; straining out everything not of the most basic, rudimentary and directly relevant aspect of the physical subject under investigation. Fortunately, todays' quantum physicists and astro-physicists, can at least use the method so far.... until they come up against the ever-proliferating paradoxes, when it must become largely a matter of managing the paradoxes. Bear in mind that the popular notion that science will eventually explain everything would make no sense at all, if a single paradox proved to be inscrutable by definition, a Black Swan (as, indeed, in reality, they all are). I'm sorry. I appear to have impugned your faith, which is clearly unambiguously strong. Anyway, best pull it. It's not appropriate to publicly detract from an eminent person in their field in that way.